Step It Up Challenge: Making Progress! The campus currently stands at 32 percent of the first goal — 10 million steps. It will take your help to get us there! You can log your steps daily or weekly. If you need a pedometer, stop by the Student Activities Office in Billingsly Student Center. When the first goal is reached, all faculty and staff will receive free membership to the Biemdiek Recreation Center for the month of May. 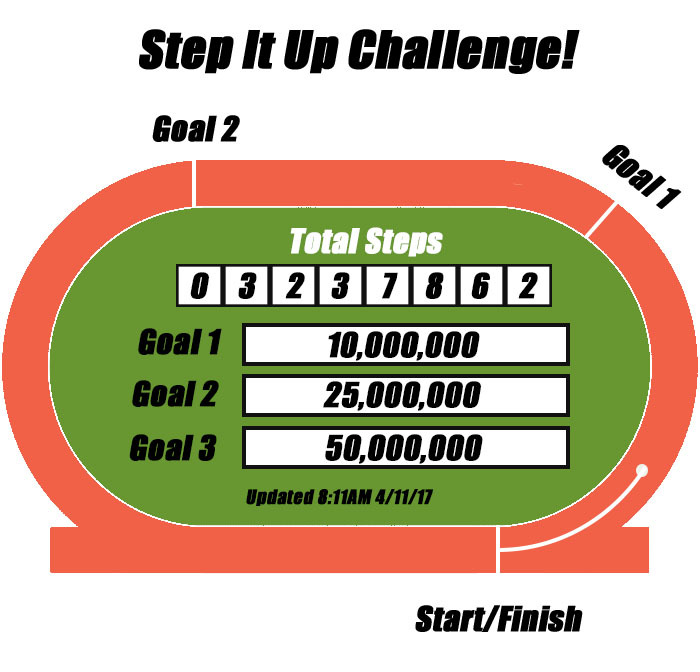 Go to http://mssu.edu/step-challenge to log your steps today.